More than 50 new Americans celebrated their citizenship at the National Hellenic Museum on South Halsted. 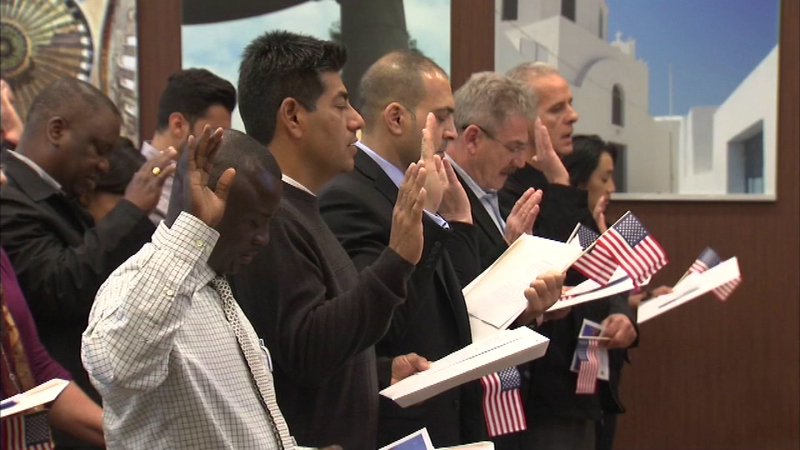 CHICAGO (WLS) -- Some of America's newest citizens took their oath in Greektown on Thursday. The museum celebrates this nation's ties to Greece and the millions that have made the journey to live in America.